This package is ideal for when you have a narrow window of opportunity for a quick golf getaway, with some interesting sightseeing thrown in along the way. Accessing this getaway package is easy through Bangkok, Singapore, Kuala Lumpur, Hanoi, and Ho Chi Minh City. All of these gateways have a choice of several flights daily, making it convenient to get there and back in just four days. Our suggestion is that you fly in to Siem Reap on a Thursday for a relaxing change of pace with true Khmer influences providing you a change of scenery as well. 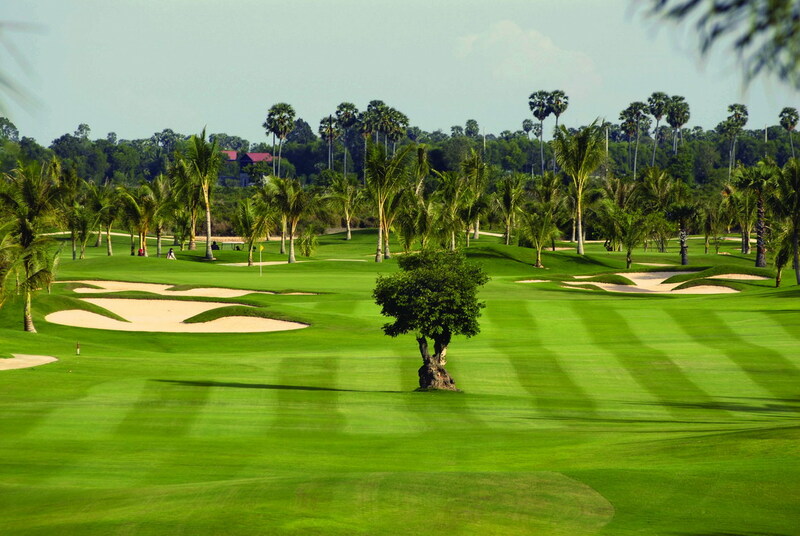 Enjoy the highly regarded layouts at Angkor Golf Resort and Phokeethra Country Club; it just doesn’t get much better than this. Nick Faldo’s Angkor design continues to win the praises of golfers from around the world, and Phokeethra is the venue for recent Johnny Walker Cup and Cambodia Open events. If relaxing is not your cup of tea, then substitute Phnom Penh and enjoy capital city nightlife and play the Nicklaus track at Grand Phnom Penh and the rising star on the Cambodia golf scene, Garden City Golf Club, the newest course in the kingdom. Siem Reap and Phnom Penh both offer cultural touring opportunities, fine accommodations, and excellent dining. If you don’t mind giving up half a day for transit, you can take in both destinations. Day 1 Arrive Siem Reap (or Phnom Penh) and transfer to your hotel of choice for check-in. 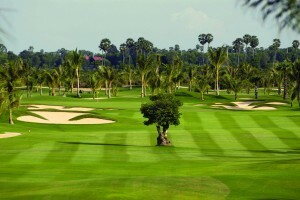 Day 2 Golf at Angkor Golf Resort (or Grand Phnom Penh) and spend a little time seeing the cultural attractions. Day 3 Golf at Phokeethra Country Club (or Garden City Golf Club in Phnom Penh) and see a few more sights in the afternoon. Day 4 To airport and departure.